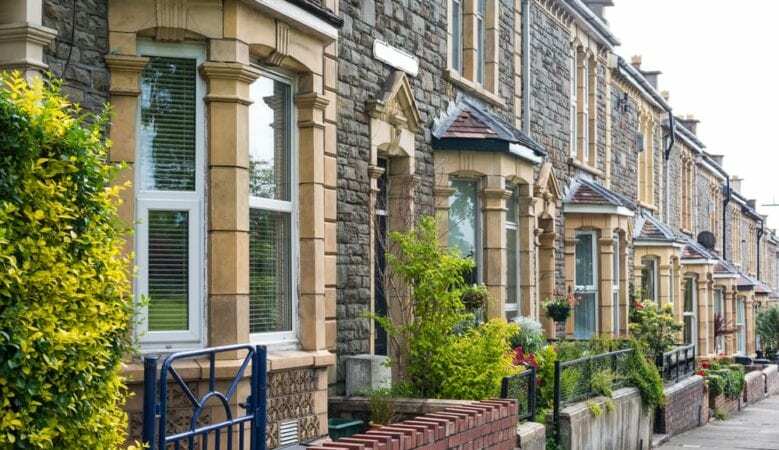 Average house prices in the UK increased by 1.7% in the year to January 2019, down from 2.2% in December 2018, the lowest annual rate since June 2013, taking the average price to£228,000, official figures show. Over the past two and a half years, there has been a slowdown in UK house price growth, driven mainly by a slowdown in the South and East of England, according to the data published by the Office for National Statistics (ONS). The average house price in England is £245,000, an increase of 1.5% over the year to January 2019, but down from 1.9% in December 2018. Meanwhile, house prices in Scotland grew at a slower rate than other countries of the UK, increasing by 1.3% in the year to January 2019, down from 2% in the year to December 2018, with the average house price in Scotland now £149,000. Northern Ireland house prices increased by 5.5% over the year to fourth quarter of 2018. Northern Ireland remains the cheapest UK country to purchase a property in, with the average house price at £137,000. While the data is positive in terms of being better than December’s stagnant figures, according to John Goodall, chief executive officer of buy to let specialist Landbay, it is disappointing that there has been a slow start to the year. ‘Problems with affordability and supply remain. At a regional level, price rises in London continue to lag behind the likes of the East Midlands and East Anglia, a sign that demand in the capital is cooling as many buyers migrate away in search of something more affordable,’ he said. ‘First time buyers may have taken a little respite from The Chancellor’s Spring Statement, but affordability remains a key concern. When you also factor in poor saving rates and relatively weak wage growth, saving towards a deposit on a home of their own is near impossible. That is why we need to shine a light on investment in house building, ensuring it is strategic in solving the affordability problem,’ he added. Marc von Grundherr, director of London estate agent Benham and Reeves, believes that uncertainty, mostly caused by Brexit, continues to have an impact on price growth which has fallen to its lowest in almost six years. ‘London continues to suffer most from this slowdown as the higher price of property is resulting in more drastic adjustments than elsewhere across the UK. However, this adjustment in prices is seeing a returning air of confidence from an investment standpoint and we’ve seen a consistent level of interest from the foreign market investors so far this year,’ he explained. ‘While Brexit will continue to hang over the head of the London market, this growing level of interest will continue to build and much like a coiled spring, once the market does return to normality we will see a sudden and notable uplift in activity and price growth,’ he added. A fall in growth is likely to continue, according to Andy Solomon, chief executive of Yomdel, but this is good news for first time buyers. ‘We’re still seeing very strong growth across the regional engine rooms of the Midlands and Yorkshire and the North West,’ he said. ‘London, the East and the South East continue to suffer greatly and unfortunately for home owners in these regions, there’s no end in sight. However, once the pendulum does swing in the opposite direction the previous property pedigree of these regions will ensure they recover as quickly, if not quicker, than they declined,’ he added.